Southern California Edison is short nearly $1 billion in its power budget — and it’s hoping to charge a big chunk of that money to customers leaving for another energy provider. Edison estimates it will spend $972 million more than expected on electricity this year, partly because it didn’t have access to enough power during a summer heat wave and was forced to pay sky-high prices on the energy market. The investor-owned utility is now asking state officials for permission to raise next year’s electricity rates to recoup those costs, as allowed by law. But there’s an unusual twist in Edison’s request. The utility wants to charge approximately $125 million of the shortfall to more than 1 million homes and businesses that will leave Edison over the next few months to join Clean Power Alliance, a government-run energy provider that intends to compete with the massive power company. Clean Power Alliance plans to start providing electricity this February to about 930,000 residential customers of 29 cities, including Oxnard, Santa Monica, Simi Valley, Thousand Oaks and Ventura, as well as unincorporated parts of Los Angeles and Ventura counties. They’ll be joined by 100,000 nonresidential customers in May. The government-run energy agency is one of 19 community choice aggregators, or CCAs, now operating in California. Forming a CCA enables local officials to decide what kinds of energy to buy for their communities, how much to charge and what incentives to offer for rooftop solar and other clean energy technologies. Investor-owned utilities such as Edison are still responsible for building and operating the poles and wires that deliver electricity to CCA customers. They can make money for their shareholders by charging CCA customers for those costs. Edison says the $972-million shortfall was caused by energy the utility purchased to serve all of its customers, including those who will soon leave for Clean Power Alliance. So from Edison’s perspective, it’s only fair that those customers should pay back their share of the costs, which amount to nearly 13% of the total. “Basic fairness and the law dictate that all customers responsible for the undercollection should pay a fair share; anything else would raise costs for other remaining customers,” Edison said in a statement responding to questions from The Times. But community choice advocates have objected, asking the California Public Utilities Commission to deny Edison’s request. They say charging $125 million to customers switching to Clean Power Alliance in 2019 would hurt the new energy agency’s finances and could affect its ability to lure customers away from Edison. West Hollywood City Councilwoman Lindsey Horvath serves as the city’s representative on the Clean Power Alliance board. She said Edison had “every opportunity” to recover its $972 million by raising electricity rates during the final months of 2018, before many customers leave for Clean Power Alliance. But Edison chose to wait until next year, when the rate increase could harm the utility’s biggest competitor, she said. “Every step of the way they’ve made decisions that will hurt Clean Power Alliance, and it certainly feels like that’s intentional,” Horvath said. How much would energy bills go up? Customers joining Clean Power Alliance in February would see their electricity rates rise by an average of 1.4 cent per kilowatt-hour in 2019 to cover their share of the $972-million shortfall, as would customers remaining with Edison. That comes out to an additional $11.50 on the average Los Angeles-area resident’s monthly bill in the summer, and nearly $8 in the winter, based on the most recent electricity use data available. Even if state officials approve Edison’s request, Clean Power Alliance will still be able to offer the competitive electricity rates it has promised, said Ted Bardacke, the energy agency’s executive director. Clean Power Alliance customers can choose from three energy plans: One with a 36% renewable energy mix that’s slightly cheaper than Edison’s base rate, one with 50% renewables that’s on par with Edison’s rate and one with 100% renewables that’s more expensive than Edison. But Clean Power Alliance would have to cut into its financial reserves to offer those rates while offsetting an additional $125 million in unexpected costs to customers, Bardacke said. Edison’s request creates financial uncertainty for Clean Power Alliance right as it’s getting started, he said, and could cause cities still served by Edison to question the wisdom of leaving their longtime electric utility. “If our customers have to pay this extra fee, we will still be able to make it work financially, but it’s going to be very, very, very tight,” Bardacke said. Most Californians have long purchased electricity from three investor-owned power companies — Edison, Pacific Gas & Electric and San Diego Gas & Electric — or from municipal utilities such as the Los Angeles Department of Water and Power. But about a decade ago, several San Francisco Bay Area communities began launching their own locally run energy agencies, a trend that has recently spread to Southern California. By some estimates, the big three investor-owned utilities could lose 80% of their energy sales over the next decade. The growth of CCAs has been a source of tension for state regulators, who must ensure that Californians who remain with the big utilities don’t face higher costs as their neighbors leave for new energy providers. That’s why Edison, PG&E and SDG&E are allowed to charge exit fees to their former customers, to help cover the costs of long-term energy contracts that were signed years ago to serve them. After years of debate, there’s still little agreement on the best way to calculate exit fees. The Public Utilities Commission approved a new methodology in October that largely gave the big utilities what they wanted, prompting critics to object that the higher fees would slow the growth of CCAs and make it harder for them to invest in clean energy. Community choice advocates have asked the utilities commission to reconsider its exit fees decision, and in some ways the debate over Edison’s $972-million shortfall is an outgrowth of that conflict. Edison wants to raise next year’s exit fees to include the $125 million in charges to customers departing for Clean Power Alliance. But the CCA says that would be an unprecedented use of the exit fee, which is designed to cover the costs of long-term power contracts, not short-term costs incurred when a utility finds itself short on electricity. Bardacke said Clean Power Alliance wouldn’t have objected if Edison had made up the $972-million shortfall by raising electricity rates for all of its customers in the final months of 2018, when doing so wouldn’t have affected Clean Power Alliance. Edison, though, said it chose to wait because recovering its costs in the last months of 2018 would have required a more dramatic rate increase wouldthan if the costs are spread out over 2019. 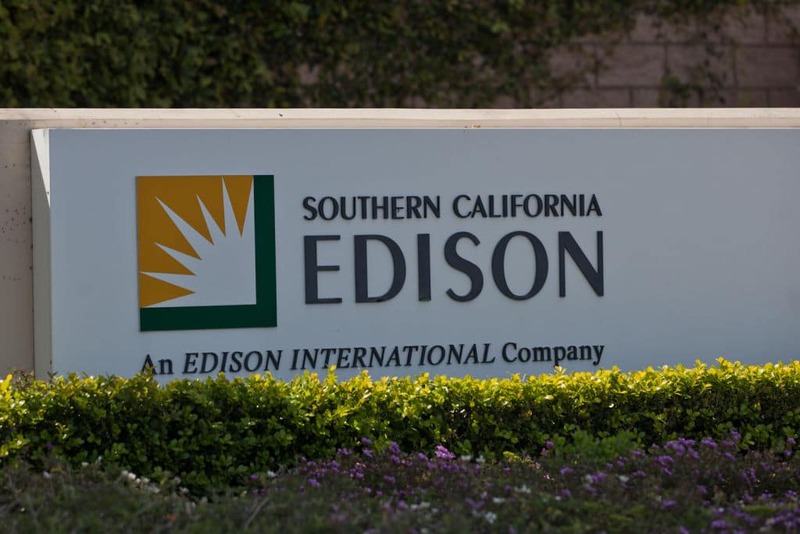 Edison has also argued that increasing next year’s exit fees is necessary to protect its remaining customers from paying the entirety of the $972 million on their own. Avoiding this type of cost shift is exactly why exit fees exist, Edison has argued, even if the details of the current situation are unique. Radu Ciupagea, an official at the Public Utilities Commission’s Public Advocates Office, said he doesn’t see anything improper about Edison’s request to recoup its costs. “My take on the process so far is that it’s occurred as it was supposed to occur. We definitely would not want to see cost-shifting across customers,” Ciupagea said. Why did Edison come up $972 million short? Clean Power Alliance and another CCA, the California Choice Energy Authority, have questioned whether Edison should have been able to avoid the $972-million shortfall. They suggested the utility may have been caught off guard by a record-breaking heat wave that caused electricity demand to soar in late July. “A well-hedged market participant who managed its portfolio appropriately should not find itself in SCE’s position,” the two CCAs wrote in a filing to the Public Utilities Commission last month. California’s big utilities regularly come up short on their power budgets at the end of the year, although Ciupagea said Edison’s $972-million shortfall was “significantly higher than previous undercollections” he’s seen. He said his office at the Public Utilities Commission will scrutinize Edison’s claims during a regulatory proceeding that begins in April. Los Angeles residents served by the city-run Department of Water and Power aren’t affected by the growing number of cities ditching their investor-owned utilities. CCA customers can opt to return to Edison at any time. Southern California Edison wants departing customers to hand over $125 million, by Sammy Roth, The Los Angeles Times, December 13, 2018.